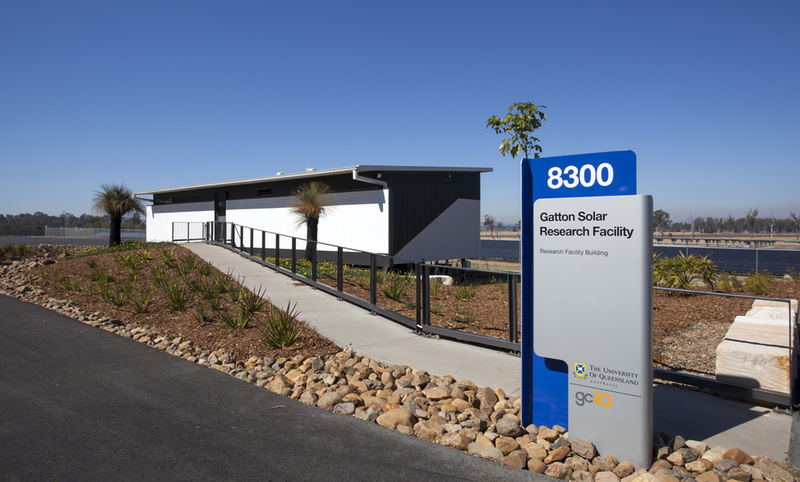 This project was a UQ led consortium for the Solar Flagships program which attracted EIF funding to support large scale photovoltaic solar plants. The project proposed a new Research and Visitors Building to overlook and supplement the research associated with the Solar arrays. Additionally provision of a battery storage into the system has been allocated. 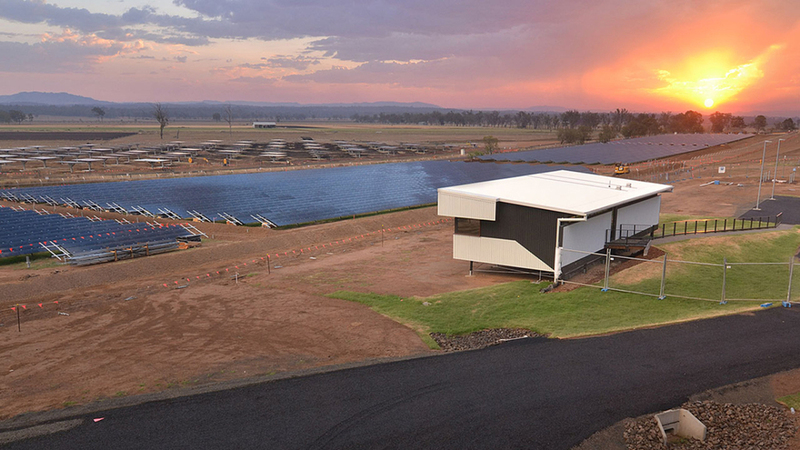 This will be one of the largest solar photovoltaic research facilities in the world and will significantly raise the University’s profile in renewable energy research. The building form has been designed as a linear arrangement of spaces with a linking roof structure between the research building and the battery shed, thus becoming a single combined structure. The research building is raised above the ground level to provide an elevated viewing platform from where the visitor can view the expanse of the solar array. These two devices of raising the building, and the linear arrangement of the spaces, allows the form and scale of the building to commensurately reflect the vast scale of the solar arrays. Architecturally, an array of solar panels is proposed as an expressed awning to the northern side of the building, which is viewed upon as visitors arrive to the site. The northern elevation is clad with a translucent fibreglass screen, visually linking the research building with the battery station, creating an over scale appearance in response to the expanse of solar arrays. The profiled translucent fibreglass wall cladding and corrugated metal soffit continue around the building envelope and soffit to response to the agricultural nature of surrounding context.